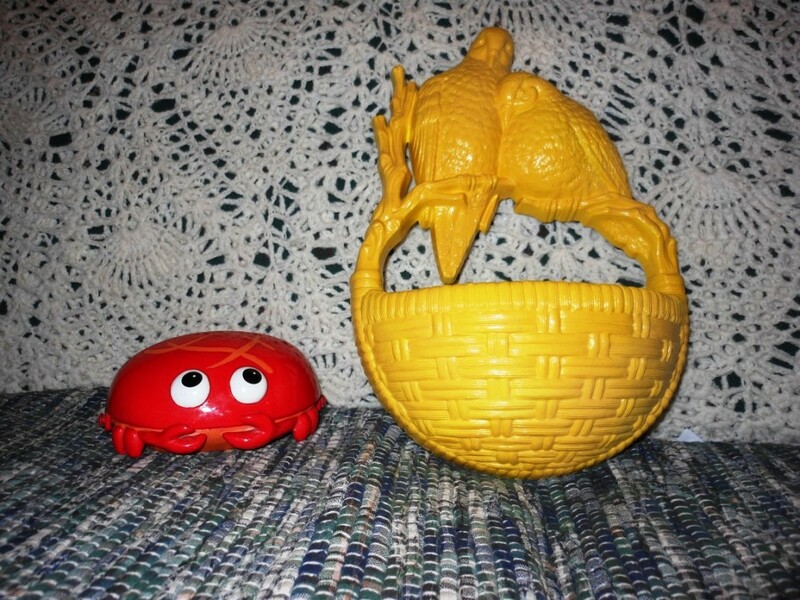 A Crab AND Yellow Birds??!! Let me just say that it would be a good policy for the towns of Fraser and Winter Park to give everyone entering town a free wine tasting, and everyone would then leave more of their tourist dollars in town. 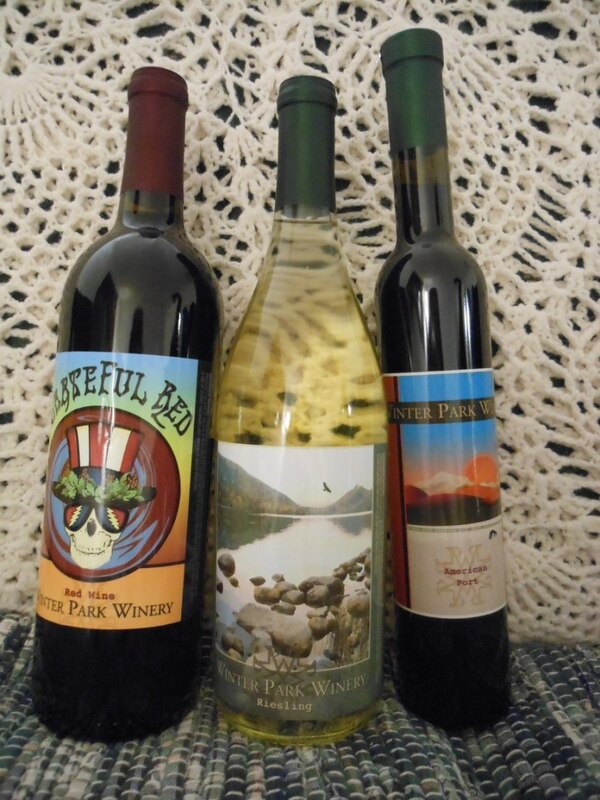 Our first stop upon returning to Fraser was the Winter Park Winery. I saw the “Wine Tasting” sign and thought that would be a fine way to spend some time while we were waiting for my brother and his family to finish skiing. I think they have you taste 7 wines, I don’t know, I kind of lost track. My issue is that I instantly know whether I like a wine or not, so then I just shoot the rest of it down and move onto the next one. So I consumed that wine pretty quickly (not a large quantity of each, but cumulatively…..) I am a sweet wine person (I like some reds, but not “big” reds, and I like reds with lower tannin.) So we bought two bottles of the Riesling (one for Wade and his wive) and one for us, a bottle of their port, and a bottle of “Grateful Red” which isn’t even ready to drink yet but I couldn’t resist. We are supposed to hold off until at least this summer, so I didn’t get to taste it. But it was “Grateful Red” so I had to have it. Good marketing on their part. While we were rounding the block to park at the winery, I saw two signs – “Art Gallery” and “Thrift Store” which I knew would be our next stops. They were both in the same building, the historic Fraser mercantile building. The thrift store doesn’t have a website, but the art gallery does. 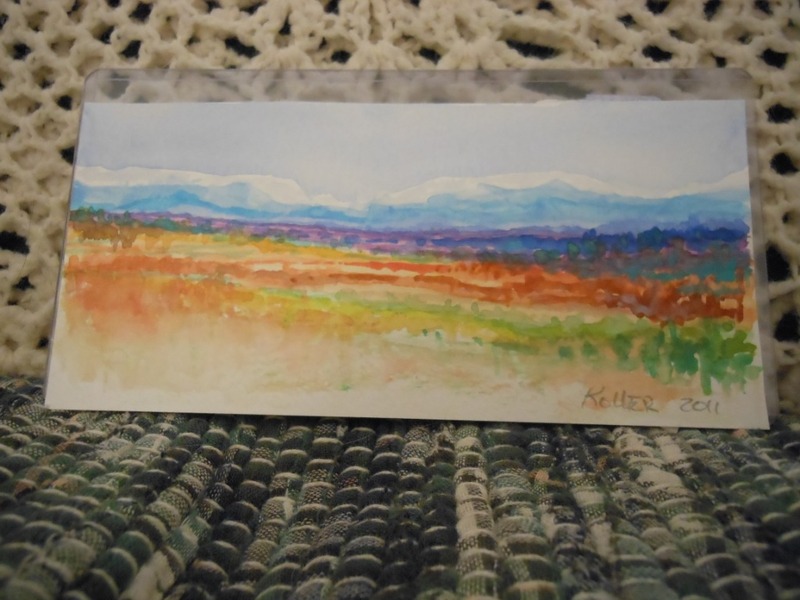 The Elizabeth Kurtak Art Gallery – they had recently had an open house, and so were sold out of some paintings and prints, but I still found a print I liked (picture from her website since I forgot to take one). 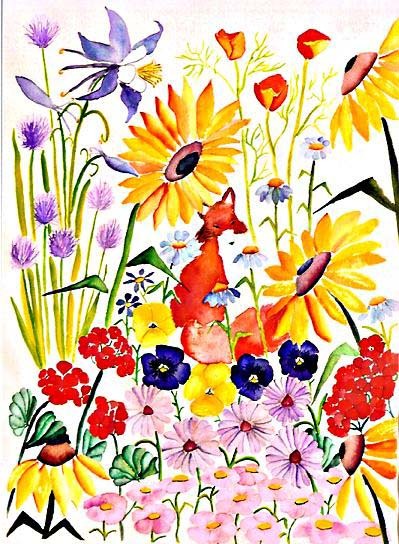 I liked this one as well “Spring Fox,” as it has more complex shapes (I am learning more about what I like in art from my color theory/design class), but she was sold out of that one right now. Then to the thrift store, I hadn’t really seen anything that caught my eye (other than the two cats in the store, Ken was busy playing with them and hoping I wouldn’t find anything weird) – but then I saw the door that said “Furniture, Man Stuff and Oddities.” Well, you can’t keep me away from oddities, and I think I purchased the item that they were referring to. Yes, it’s a crab. 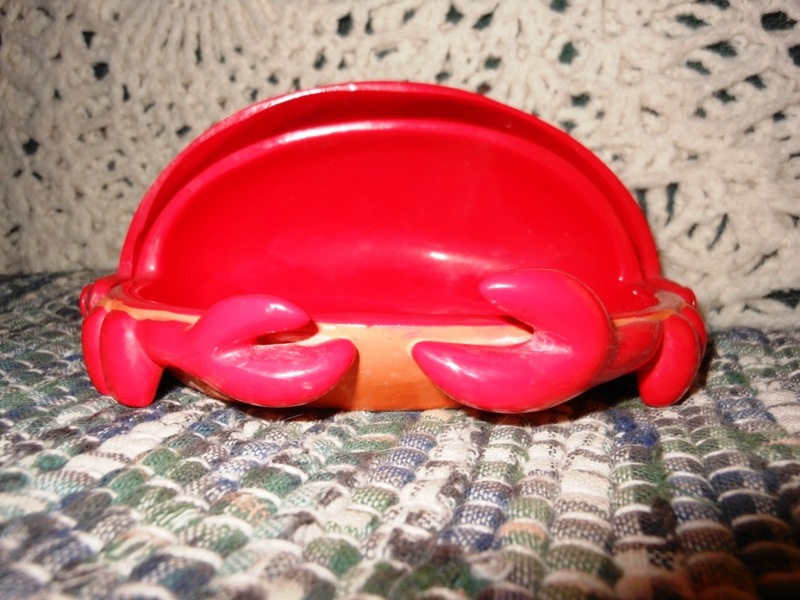 A crab soap dish. See, it opens up and you can put your soap in there. Or, you can chase your husband around, clacking it at him. I will not tell you what he said he was going to do to Cyril the Crab if I didn’t stop that. NOT nice. And Cyril needed someone to keep him company. These birds will look lovely on the wall in the sunroom, if I can find some other bright decorative items to go with them. We got out of there before I could find anything else I needed. We headed back into Winter Park and went to nest.Artistic Home, a great store full of original and local arts and crafts. I couldn’t resist an original watercolor by Grand Lake artist Richard Koller. Apparently he is trying to paint one picture a day. I am glad to have this one. Luckily for our budget, the skiiers were down off the mountain, so we went to see them and left the retail adventure! Quite a good day, I’d say. 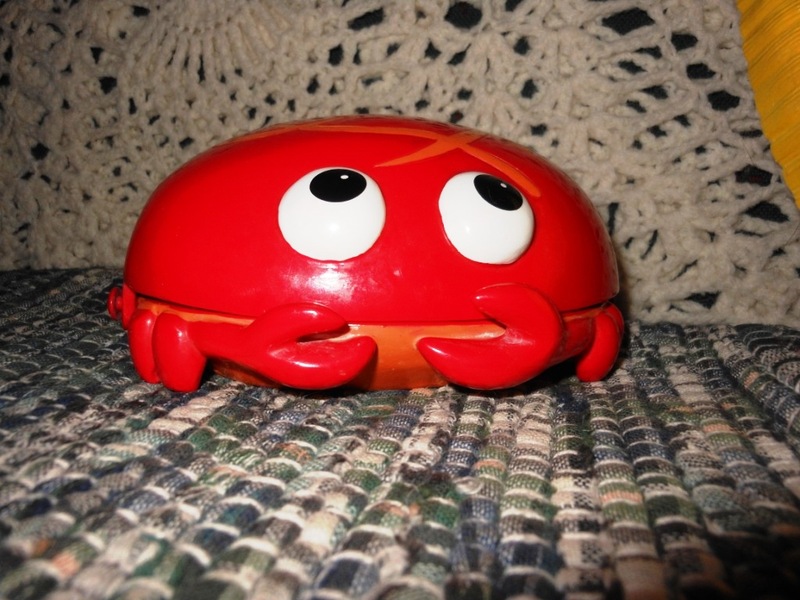 Cute crab! Thanks for sharing. I like sweet wines, too! I am, like my grandmother, partial to Mogen David (yes, grape juice posing as wine). What fun! Love the crab, also love the birds!